You’re planning a lovely Christmas celebration this year, but your family is gluten-free, making things a tad bit more difficult in the sweets department. 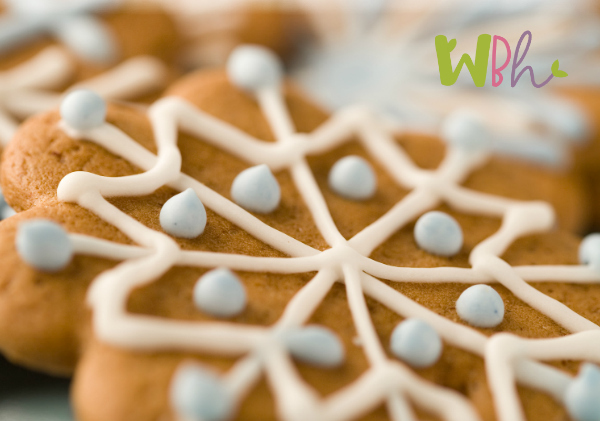 Let this collection gluten-free Christmas cookies pave the way for a joyous celebration! Gluten-free Chocolate Peppermint Twist Cookies Just Take a Bite! Everything Free Chocolate Cranberry Cookies Just Take a Bite! 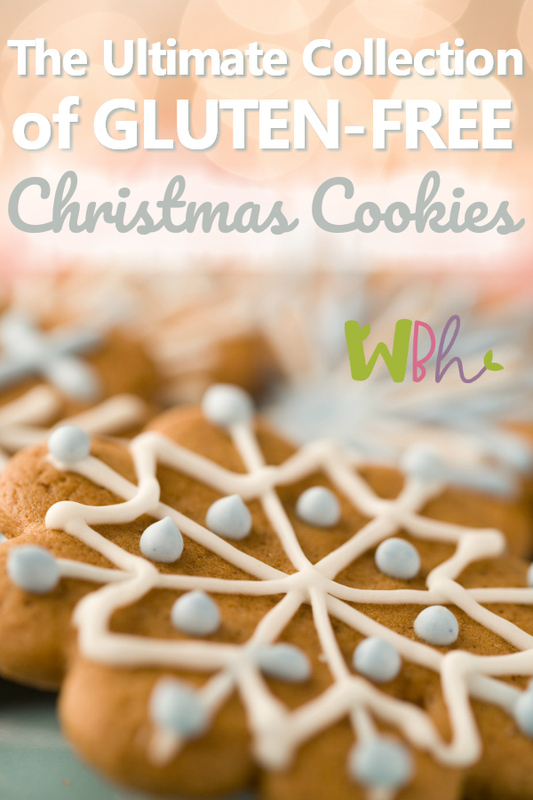 I hope you enjoy this collection of gluten-free Christmas cookies! Do you know of a recipe I should add? Leave a comment with a link and I will do so! 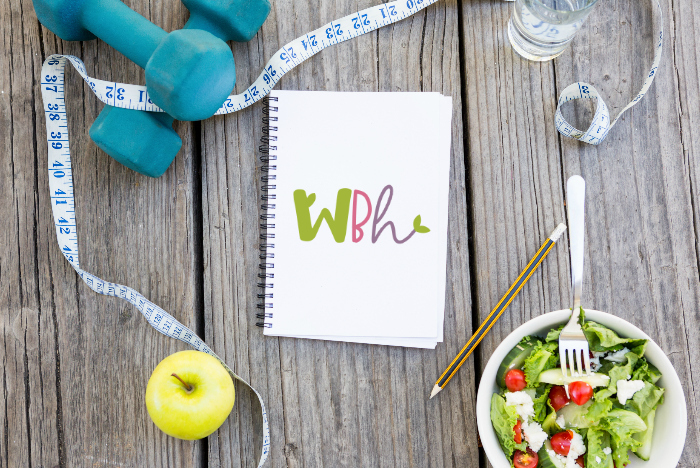 Creating a health plan for losing weight and finding other ways to get healthier in our day-to-day lives is something that many of us strive for. For some of us, it’s more important, a matter of life and death even. But, even in the most dire of circumstances, it can be hard to stay on the healthy path. We are bombarded on a daily basis with temptations. Television, fast food, even people who live in our homes can make things very difficult for us. And let me ask you this question: Why is it that unhealthy food is so much easier to consume than healthier food? Maybe because it’s absolutely everywhere you turn! Think of the last time that you stopped at the grocery store for a few items. Every aisle if filled with something unhealthy. And then, right before check out, there are those impulse items just staring at us in the face as we are waiting to pay. Be encouraged, friend. If you are serious about getting healthy, there are some ways to make it easier. I am a firm believer in accountability, not only from people who love us and want to help, but from ourselves. 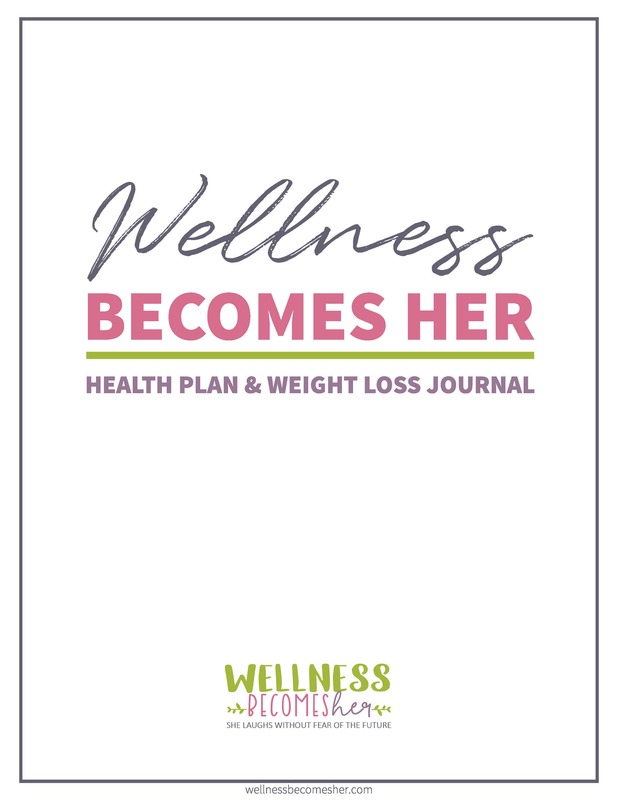 And I have found that one of the ways I can keep myself most accountable is by making a health plan and using a tracking tool to record my goals and progress. Today, I want to share a few tips for how to set goals and record progress. Start by setting your own personal goals for what you will achieve. This can be ANY goal that you are reaching toward. It’s your goal, not for anyone else to see. Both short and long term goals are a good idea, but I highly recommend thinking in terms of about 12 weeks at a time when mapping out your goals and how you will achieve them. If you make the time to achieve your first goal too far out, you’ll be tempted to procrastinate on your action steps. Suddenly 11 months in, you’ll be racing to meet an unachievable goal that needed 12 months. Most people will be able to stick to a plan for 90 days at a time. Once you achieve your goals during your first 90 days, set a new set of goals for the next 90 days. Make certain that you are setting a goal or goals that will challenge you, and push you to your ultimate goal! Don’t create a goal that is so easy that you lose focus easily. And make those goals measurable. If you have more than one goal, write them all down. Set yourself up for success on your health journey by choosing your goals, making them challenging and measurable, and writing them down. 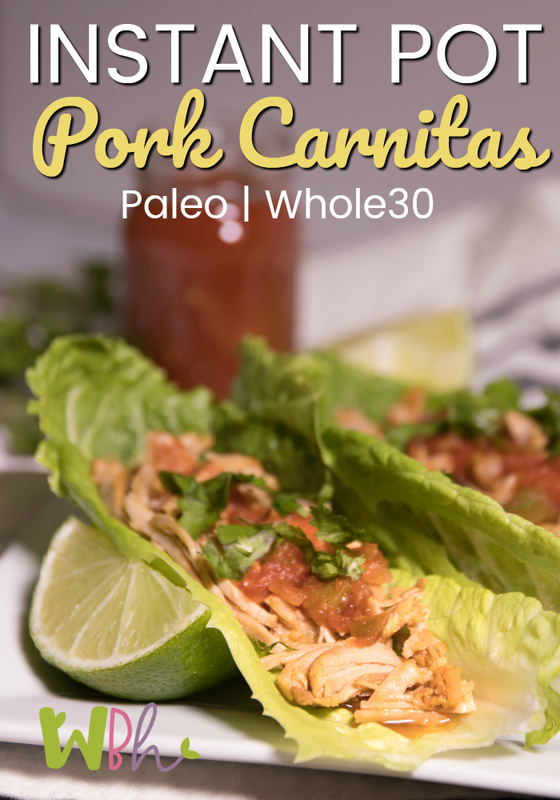 It’s time to get serious about what you are eating. 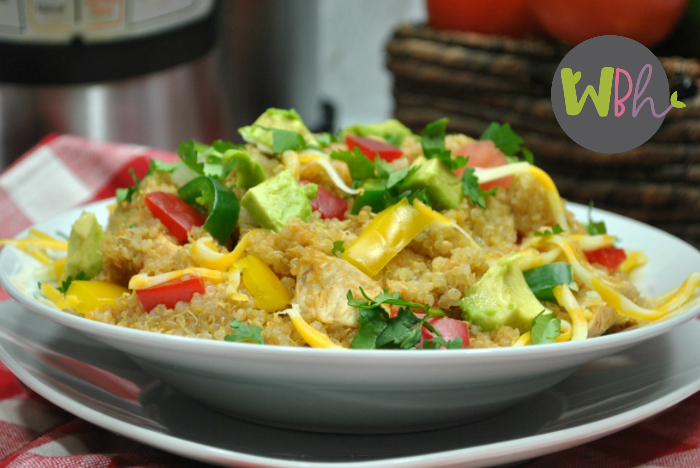 So easy it is to fall into the rabbit hole of eating food that isn’t good for you. One day of poor choices leads to another, and another and before you know it, you’ve completely lost track of your health plan altogether. The best way to get serious about what you are eating? Track the food that you are consuming. Maybe you aren’t even aware of all the times throughout the day that you are snacking. Trust me, it’s so easy to grab a handful of something here and there without even realizing how quickly it all adds up. With a food tracker, you can write down everything that you are eating all day long. 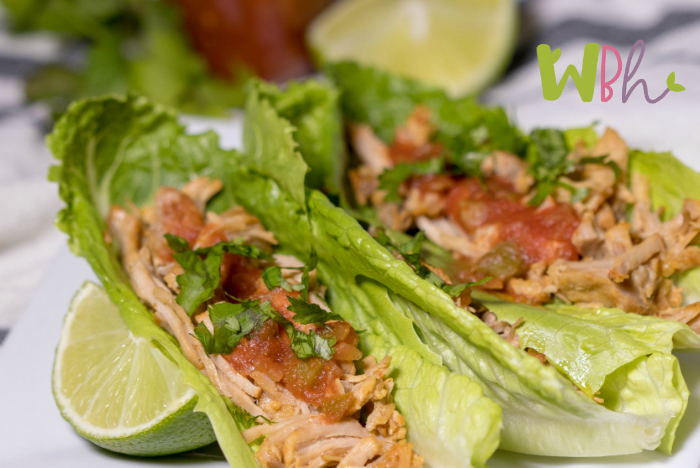 Once you understand the foods that you have been consuming, it’s time to create your health plan. Creating a health plan doesn’t have to be complicated. It’s a simple process where you jot down a few areas to focus on so you know how healthy you are truly being. Recording your progress every day is important so you can see your overall progress and know if there are certain areas that you are needing to improve in. Start by tracking your calories, your water intake, what sort of exercise you did during the day and how many steps you were able to log. Write those numbers down each and every day to be aware of how it varies and what areas you need to really focus on. Some people are really great about their caloric intake for the day, but fail to follow up with any type of activity as well. Writing it all down really helps to show you where the need for improvement lies. Don’t forget to address how you are feeling throughout your health journey. Writing out your thoughts and emotions is important to help you understand how your emotions affect the other areas of your life — especially your food choices. Write down your wins and challenges, the highs and the lows of the week, to get it out of your mind and down on paper. Remember that every day may not be a win, but if you can show yourself that you are trying your best each and every day, that’s an amazing motivation to keep going to reach your healthy lifestyle goals. Last but not least, write down your measurements with your weekly progress. While it may not always feel like the most fun part of the journey, it’s an important one because it shows you that what you are doing is paying off. The scale will not always show your real progress. Tracking those measurements is the proof that what you are doing is working and will give you the motivation to keep going. 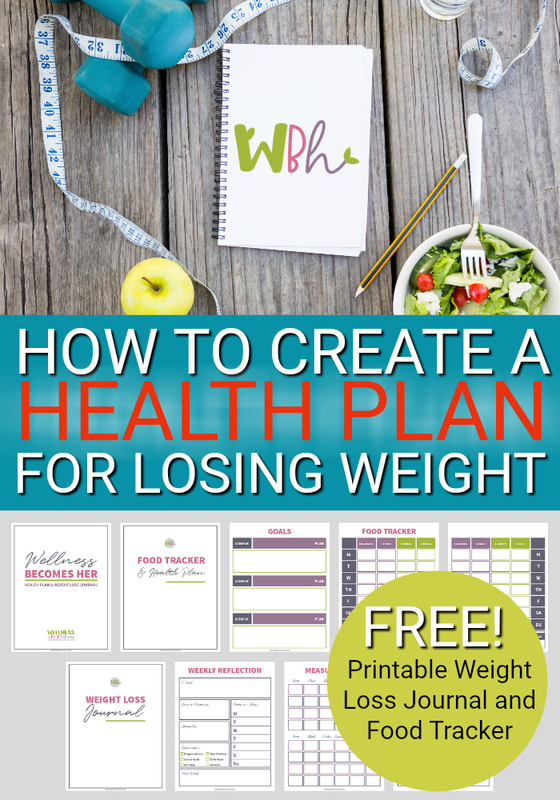 The best part about creating a health plan for losing weight and recording it? It’s down on paper to help you keep it real and to have to refer back to. It’s easy for us all to say that we are going to do something, but it can also be easy to fool ourselves. But when you make a plan and write it down, it’s more concrete and not something you can lie to yourself about. Believe in yourself and all you can accomplish on your healthy lifestyle journey, and write down those goals in your health plan! There is no better time than now to get started! 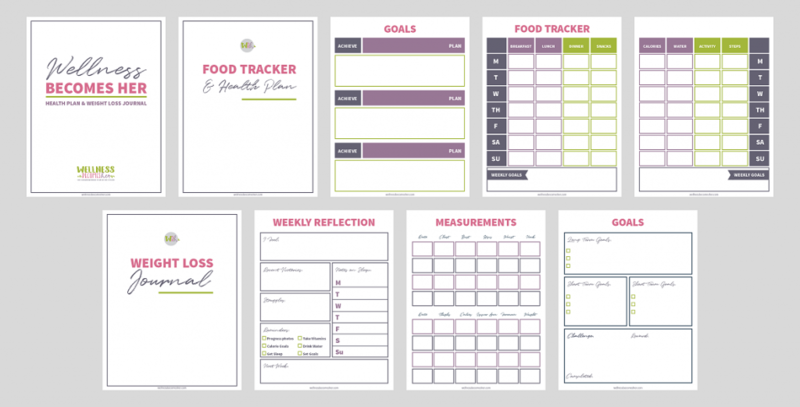 To help you meet your goals, I’ve created a 6-page Weight Loss Journal and Food Tracker. 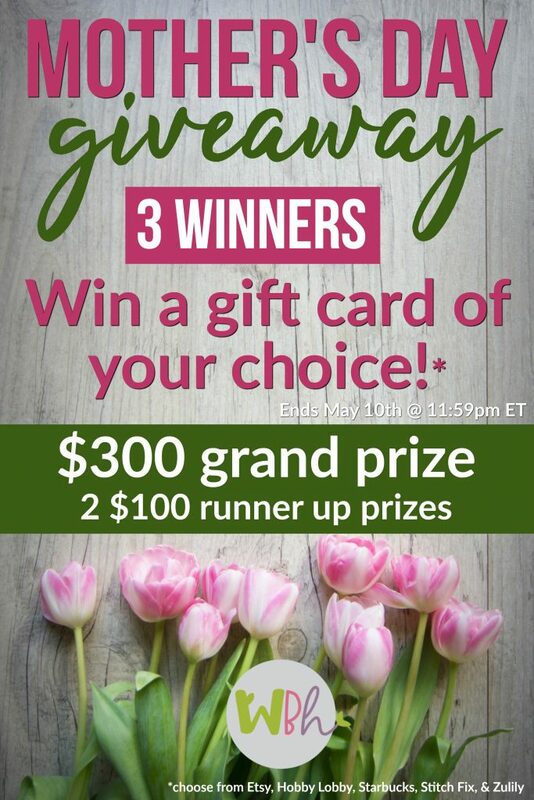 To download it, enter your email below! Simply fill out the form to get your free printable PDF copy. The amazing thing about aromatherapy is that a single essential oil can be used for many different ailments. One oil can aid with respiratory illness, skin care, and mood, for example. 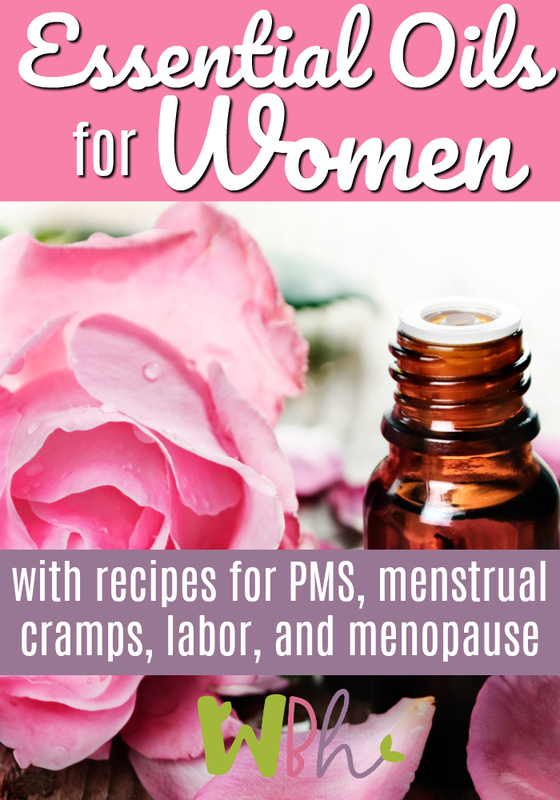 This makes essential oils ideal for the unique physical and emotional challenges that come with being a woman. 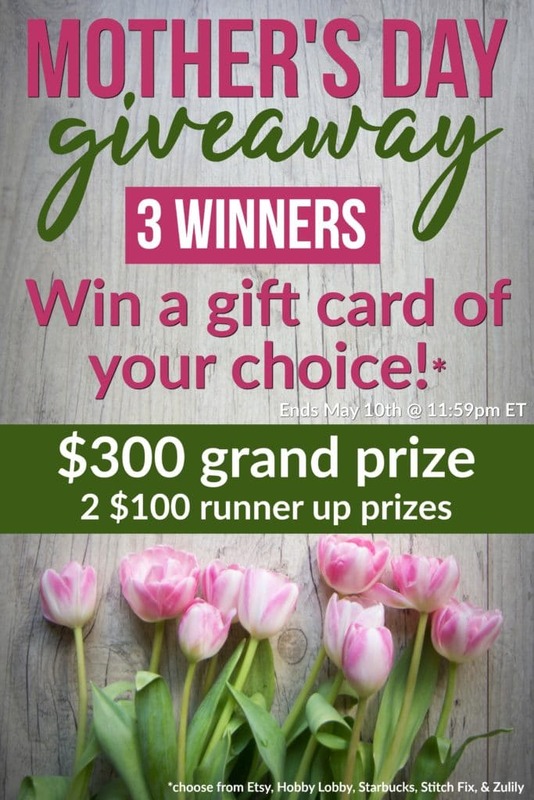 Essential oils for women is a fun topic for discussion simply because we have unique wellness needs that come along with female hormones and functions. Let’s explore the four oils – Clary Sage, Geranium, Jasmine, and Rose – that are most frequently used for feminine issues. Each oil is linked to my favorite essential oils seller – Rocky Mountain Oils — should you need to purchase it. If you have a favorite seller already, certainly purchase from them. Clary Sage – with its herbaceous, earthy and floral aroma – is a superstar where women’s health is concerned. It can be used across the female lifespan for menstruation, childbirth and menopause. During menstruation, it can help relieve pain and spasms in the uterus. It also can promote menstruation when needed. Additionally, it is frequently used for respiratory, digestive and emotional issues, as well as an aphrodisiac. Geranium essential oil is definitely an acquired smell. Either you love it or hate it. Interestingly enough, it is frequently used in perfumery and other fragranced items like soaps, lotions and creams. Its antispasmodic properties made it a popular treatment historically for diarrhea and dysentery. It is one of the best oils for detoxification as it acts as a diuretic and can aid in cleansing the lymphatic system. Due to its ability to balance the hormones, this oil is ideal for premenstrual symptoms and menopause. Jasmine is often thought of as a romance oil thanks to its proven use as an aphrodisiac. It has an intoxicating, warm, rich and floral fragrance. Historically, jasmine has been used for religious ceremonies and personal adornment. In addition to its powerful use as an antidepressant, jasmine is one of the best oils for labor, delivery and postpartum recovery. Behold the magnificence that is Rose oil. With more than 300 chemical compounds, it is one of the most complex oils that exists. In fact, not all of rose’s chemical makeup is known making its full therapeutic benefit a bit of a mystery. 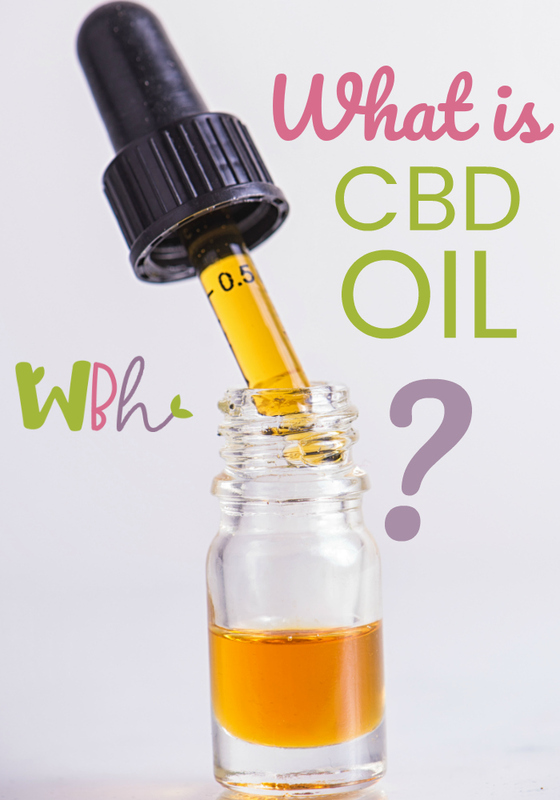 However, it does have a long list of known properties including: anti-anxiety, antibacterial, antidepressant, antiseptic, antifungal, antiviral, anti-inflammatory, antimicrobial, antioxidant, antispasmodic, aphrodisiac, astringent, laxative, sedative and tonic. Rose is a multifaceted female oil. It is ideal for functional infertility, regulating menstruation and relieving cramps and excessive bleeding. Blends Well With: Angelica Root, Bergamot, Chamomile German, Chamomile Roman, Clove Bud, Clary Sage, Geranium, Frankincense, Melissa, Rosewood, Sandalwood, and Ylang-ylang. These four oils are generally considered to be THE best oils for feminine issues. There are, however, several other oils that are great for the concerns that come along with womanhood. 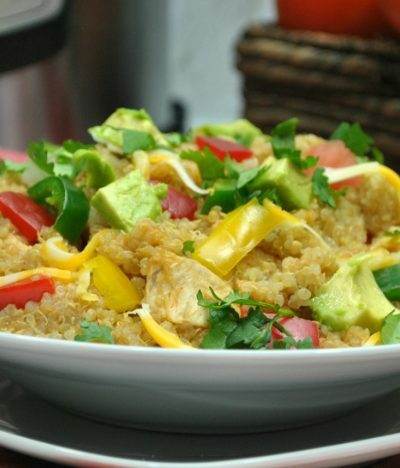 Here are a few recipes specifically formulated for women. 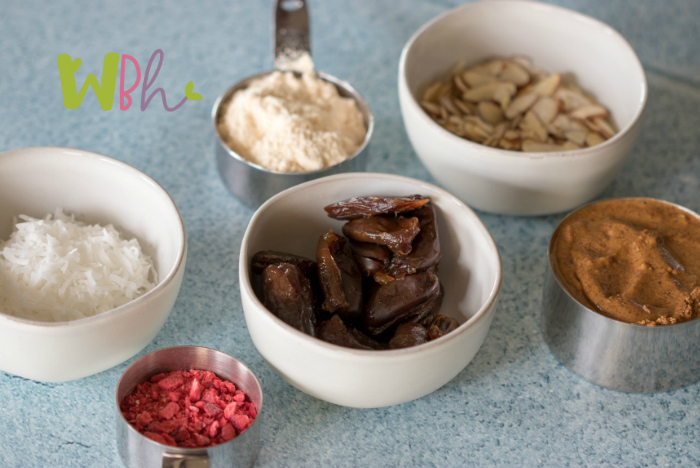 From PMS to labor, hormone balancing to the relief of emotional stress, these lovely blends can increase your overall wellness or help get you through the hours or days of difficulty that sometimes comes with being a girl. Mix oils with jojoba oil and apply a thin layer to the area where labor is most intense, as needed. Make sure to wash off thoroughly before handling the baby after delivery. Add 6-8 drops to your diffuser and diffuse for 15-30 minutes at a time several times a day. Add 18 drops to a one-ounce bottle of Jojoba oil or unscented lotion and apply a dime-sized amount to skin daily. Bergamot is a phototoxic oil, so it is best to use on skin not exposed to the sun (such as the abdomen). 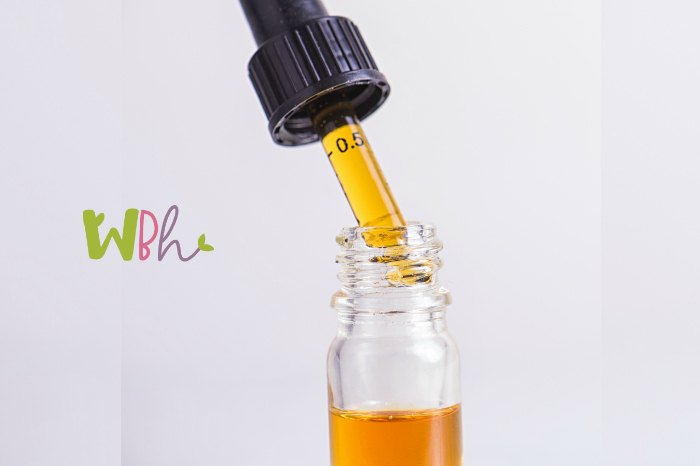 Mix oils in a small bowl and submerge inhaler wick in mixture. Assemble inhaler placing wick inside inhaler. To use, breathe in deeply for 5 minutes at a time each hour or as needed. Welcome back, friends. You’ve made it week 8 of A Mom’s Guide to Getting Started with Essential Oils. If you have not read the first 7 installments in the series, you’ll want to click over to read Where to Begin with Essential Oils, How to Safely Use Essential Oils, Inhaling Essential oils, How to Choose an Aromatherapy Diffuser., and How to Use Essential Oils Topically before continuing on. 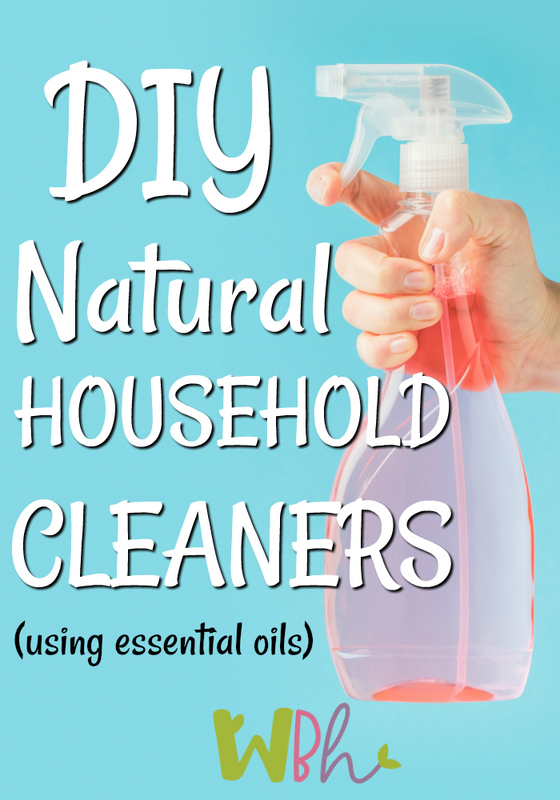 The other articles in the series include tips and recipes for using essential oils in your DIY Natural Household Cleaners and DIY Health and Beauty Recipes. 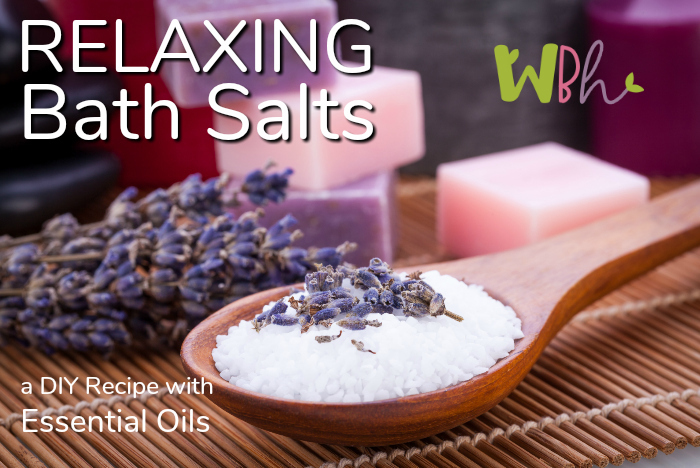 Hopefully, you are beginning to feel more comfortable with the idea of using essential oils in your everyday life for cleaning, hair and skin care, and your family’s general health and wellness. Today I want to share about using essential oils for healing minor cuts, scrapes, bites, stings, burns and in other situations where you might need a little first aid. Since the most popular members of your family for which you typically use first aid kits are your children, let’s talk for just a moment about using essential oils with kids. If you are considering using essential oils with your kids you may be wondering: is it safe? Many parents who have discovered the awesomeness of essential oils want to use them with their entire family, but they worry that it might not be safe for their children. They’re all natural, right? So, is it okay to use with your kids? The short answer is yes and no. Many essential oils are safe to use with children if they are used in the correct way. Essential oils have steadily grown in popularity over the last decade due to their ability to heal or reduce the symptoms associated with many types of medical conditions. While it’s not a new concept at all (it’s been around for centuries), it IS becoming more mainstream in our current population. Because there are different ways to use essential oils, this gives you options when using them with your children. When using essential oils with children, you can choose the method based on the type of oil, the age of your child, the purpose of using it, and the potential sensitivity of the child. If it’s diluted in a bath, massage oil, lotion, or other product, or diffused into the air, it won’t typically be too strong for your child. This means you’re going to want some awesome kids’ essential oils recipes to help you do it right. You should never use oil on a child in its pure form, which means you must learn how to mix and dilute oils to create the right blend and strength. 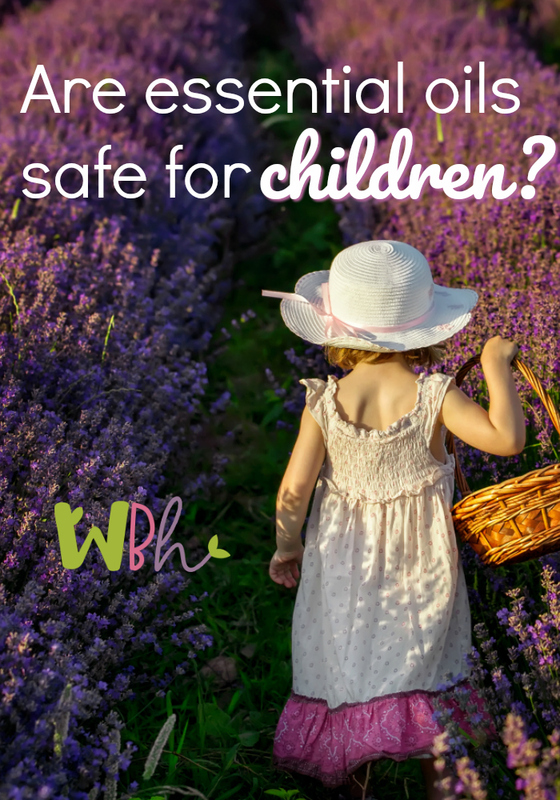 While the majority of essential oils are safe for children (especially those over the age of 6), there are a few that should be used with extreme caution, or not all, before the age of 13 or so. Click here for a comprehensive list of essential oils and at what age they are considered safe to use with children. Always do your own due diligence and learn all you can about a particular oil before using it with your children. Keep in mind that kids have immune systems that are still developing, and the oils may affect them differently than they do an adult. It’s always a good idea to introduce slowly and build up from there. 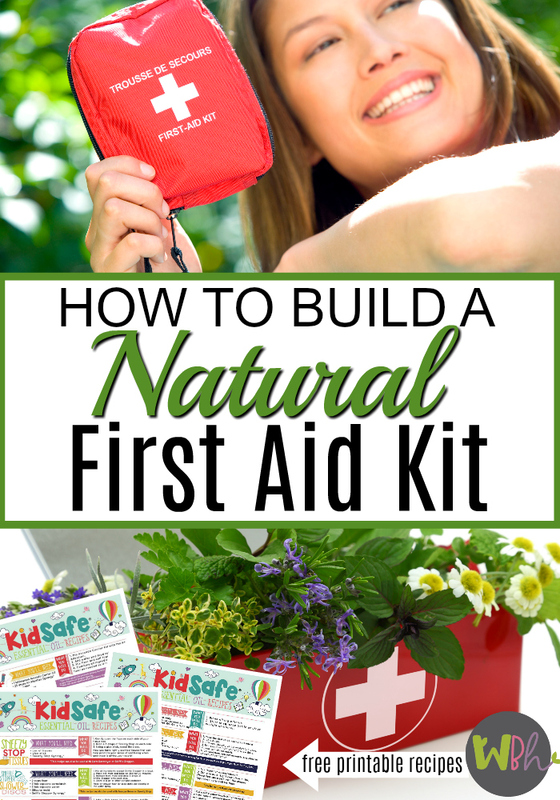 With few exceptions, you can replace nearly every product in your first aid kit with a healthier natural first aid kit using natural ingredients. From antibacterial ointments to steroid creams, insect repellents, and sunburn sprays, this article will help you treat all of your minor first aid needs with safer (and sometimes even more effective) products using essential oils. Lavender is your essential oil first aid kit must-have. It can be used to disinfect wounds and burns, promote healing, and reduce scarring. Lavender is commonly used to help with inflammation from bug bites, bee stings, and sunburns, and is known for its antihistamine properties. Helichrysum Italicum another first aid essential oil must-have. It is commonly used as a painkiller due to its analgesic properties and is particularly helpful for helping to heal heal bruises, sprains, and swelling from minor injuries. Peppermint can aid in healthy digestion, soothes nausea, and helps with muscle aches and pains, headaches, and fever. Tea Tree oil has been used throughout history because of its amazing antifungal, anti-bacterial, and anti-viral properties. Tea Tree oil helps disinfect skin irritations and supports a healthy immune system. Clove oil is commonly used for dental issues due to its analgesic properties. Frankincense is a great oil to use in blends because it can help enhance the properties of other essential oils. It is also commonly used for skin issues and is a wonderful anti-inflammatory oil. Citronella is a well-known insecticide and insect repellent, but it can also be used as an analgesic, disinfectant, and astringent. 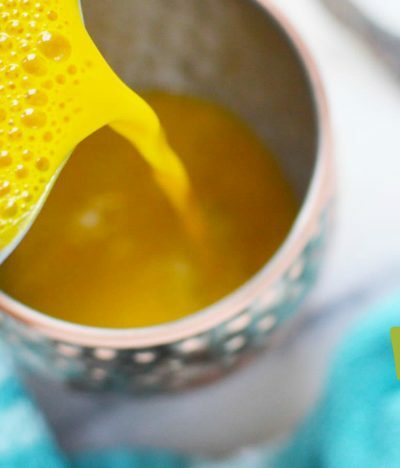 Melt the beeswax in a glass jar placed in a pan of hot water. Add the olive oil and coconut oil and stir to combine. Let the mixture cool down a bit before adding the essential oils (don’t wait too long or it will harden and become difficult to stir). Pour into two 4 oz glass jars. This salve can be used for many purposes, including insect stings or bites, cuts and scrapes, itchy or chapped skin, minor burns, and sunburns. Combine all ingredients and mix well. Pour into spray bottle. Shake well before each use. Apply generously to sunburned skin as often as desired. Avoid spraying around the eyes, as it will sting. To promote the healing of bumps and bruises, apply to affected area 1-2 times per day. Store in a squeeze “lotion” bottle for easy application. 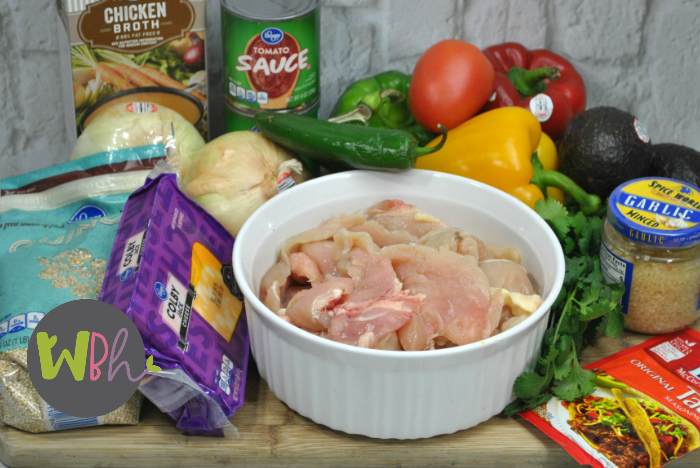 Stir ingredients together until the salt dissolves. Using a cotton ball, apply the mixture onto the affected area as needed. Stir well before each use. Store in the refrigerator. Mix one drop of clove essential oil with 1 teaspoon olive oil. Saturate a cotton ball with the mixture and place the cotton ball beside the aching tooth. Leave for as long as possible (but not overnight). A few more first aid recipes can be found on my homeschool blog for: kid safe insect repellent, homemade vapor rub, and homemade hand sanitizer. 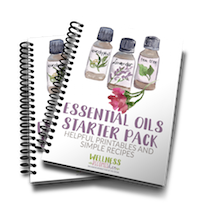 In case you’ve missed it, my Essential Oils Starter Kit contains a page with the recipes in this article, along with printable recipes cards for recording other recipes you want to try (or create) and essential oil worksheets for you to record your observations about the oils you are experimenting with. 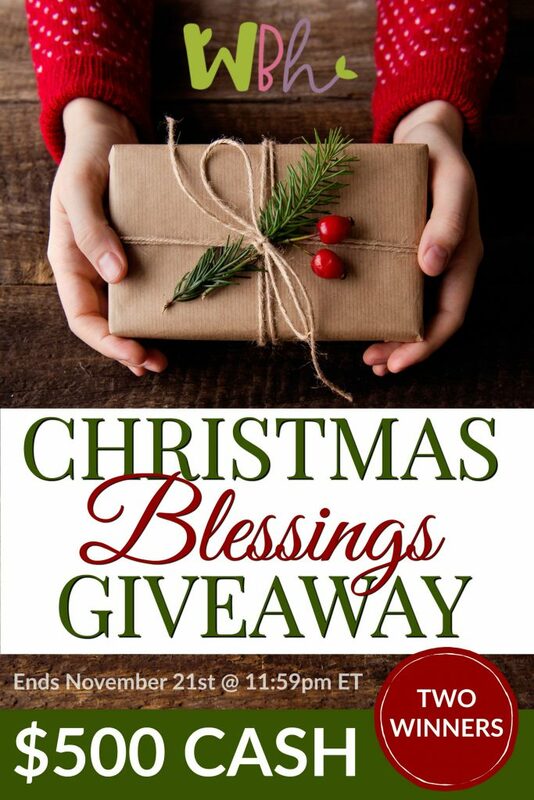 If you have not yet downloaded your free copy, you can enter your email below to receive it. Begin creating your essential oils first aid kit with the most versatile recipe I shared today – the DIY Healing Salve. 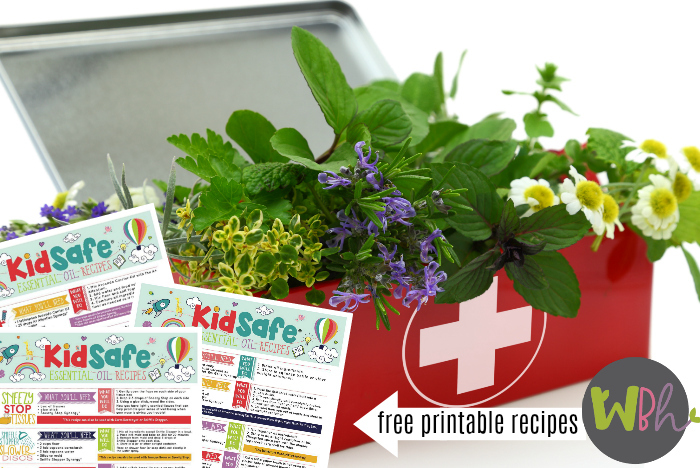 Our friends at Plant Therapy have created a gorgeous FREE printable filled with KidSafe recipes for your first aid kit and other needs. 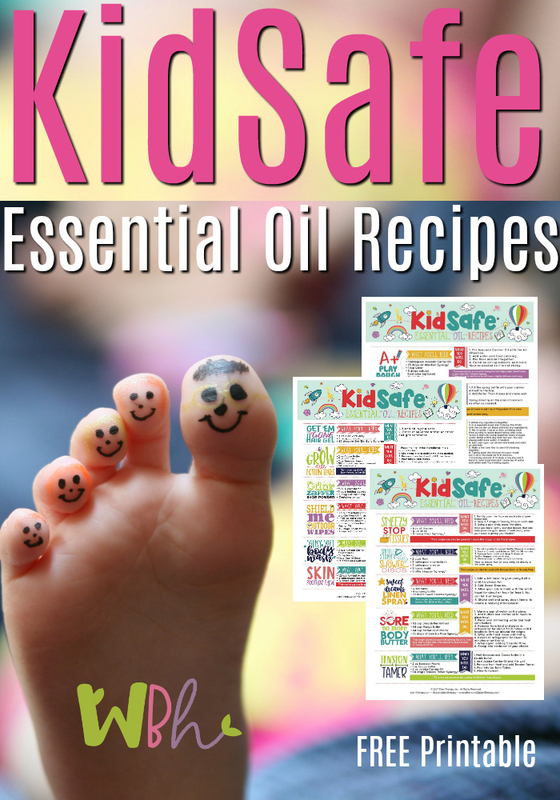 KidSafe Essential Oil Recipes includes recipes that will work well for your natural first aid kit, such as a Better Than Kisses Ouch Spray, Shield Me Outdoor Wipes, Skin Soother Salve, and Sore No More Body Butter, along with other KidSafe recipes for sleep, tension relief, shoe/foot odor, calming/focus, hair gel, and anti-bacterial soap jellies. 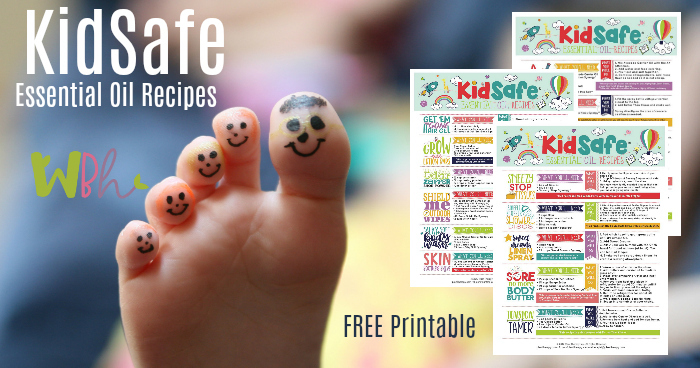 These recipes use essential oils and blends that are safe for kids over the age of 2-years-old. 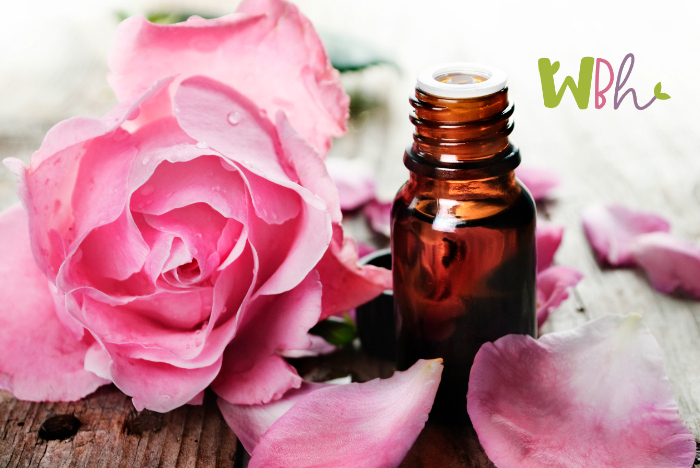 Welcome to week 7 of A Mom’s Guide to Getting Started with Essential Oils. 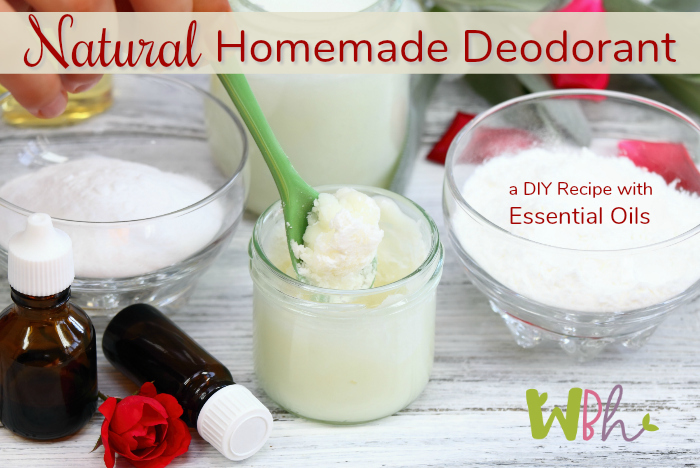 So far in this series, we have covered Where to Begin with Essential Oils, How to Safely Use Essential Oils, Inhaling Essential oils, How to Choose an Aromatherapy Diffuser, How to Use Essential Oils Topically, and last week, we made some DIY Natural Household Cleaners. This is one of my favorite parts of the course because the information here can be life-changing. 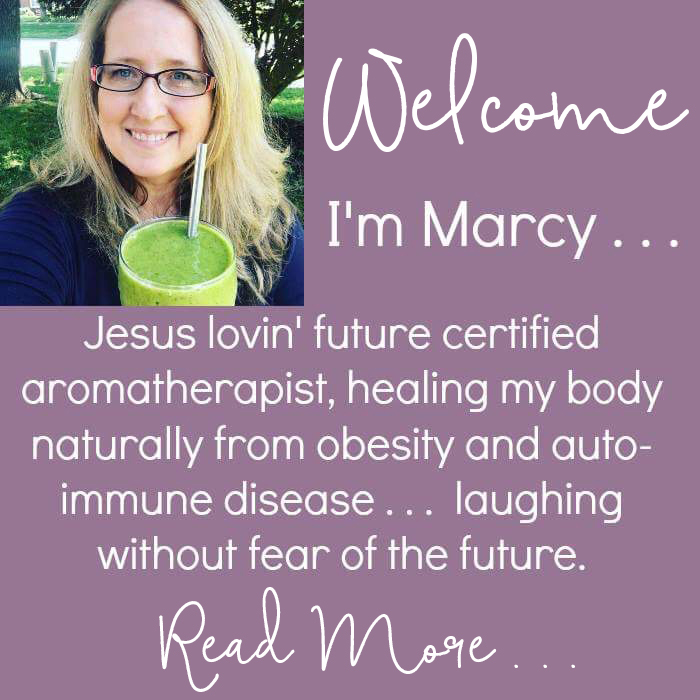 When I first started using essential oils, primarily for joint pain, then to help with my son’s ADHD, I had no intention of becoming the “crazy essential oils lady.” But as I endeavored to improve my health from autoimmune disease, I discovered that there were so many poisons in my home likely contributing to the inflammation going on inside my body. 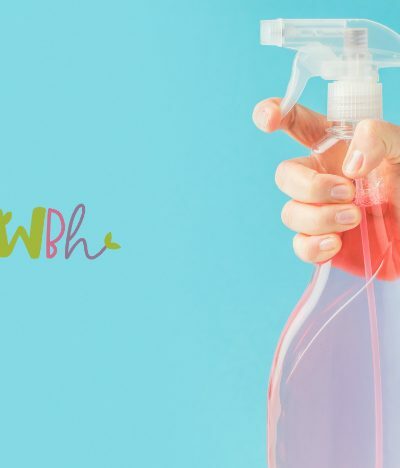 That’s when I decided that I would attempt to replace most, if not all, of my cleaning solutions and cosmetics with more natural homemade products. 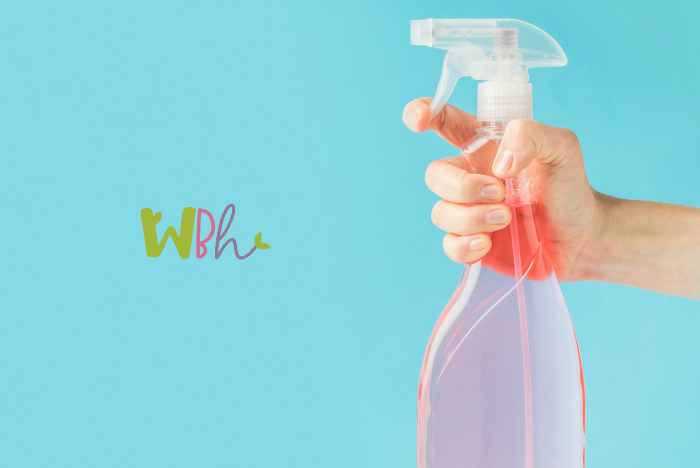 Last week, I shared some great cleaning tips I hope you are beginning to try. 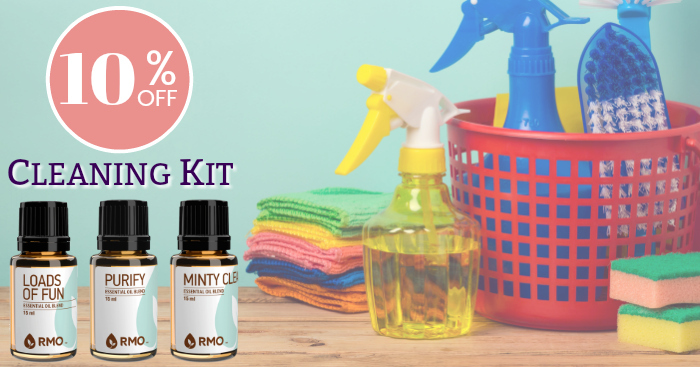 It’s pretty easy to give up most cleaning chemicals in favor of essential oil-based products. For some reason, it seems much harder to give up our favorite hair and skin care products, deodorant, and toothpaste. It is said that by the time most of us leave the house in the morning, we have used more than 200 chemicals on our bodies that are banned in most other countries. From soaps and shampoos to facial cleansers and moisturizers, make-up, body lotion, and perfumes, we are saturating our bodies with unhealthy chemicals that most of us cannot even pronounce. It takes a little effort to replace most of those beauty products with formulations of our own making, but I hope you will consider giving it a try. 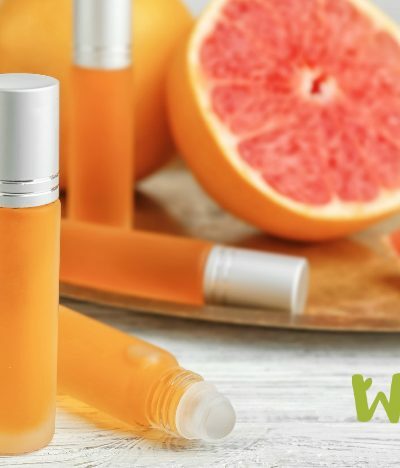 I want to share with you the top essential oils for skin care because I think most of us want to do really well with caring for our skin as we age. Let’s begin with carrier oils because I personally don’t care for Fractionated Coconut Oil (FCO) in my skin care products. I don’t believe using it will harm anything, I just believe there are other carrier oils that are more nurturing to the skin, so why not choose those instead? Tea Tree– antiseptic properties makes it perfect for treating skin conditions and minor cuts, scrapes, and burns. Lemongrass – antiseptic and astringent properties, perfect for getting even and glowing skin, sterilizes pores, natural toner, and strengthens skin tissues. Rosemary – helps stimulate hair growth, prevents baldness, slows graying, and treats dandruff. 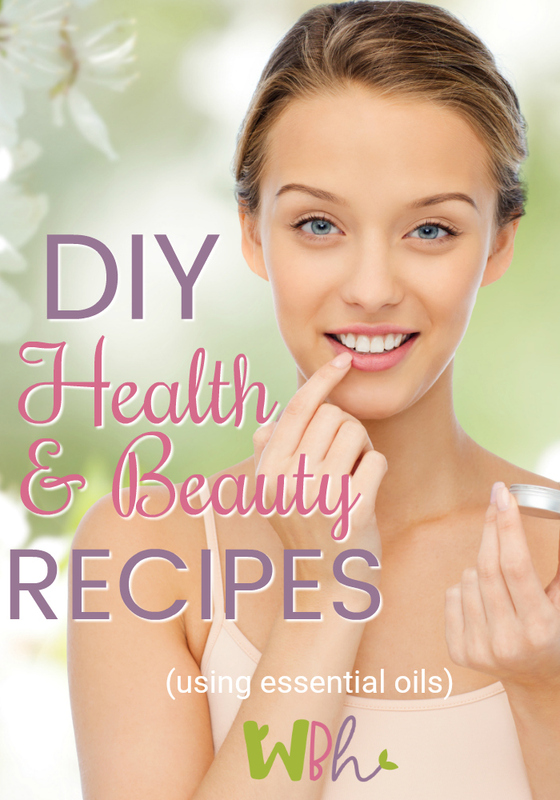 Below, you’ll find links to some of the DIY beauty products I make for my family, using essential oils. Mix all ingredients until well combined. Store in airtight container. 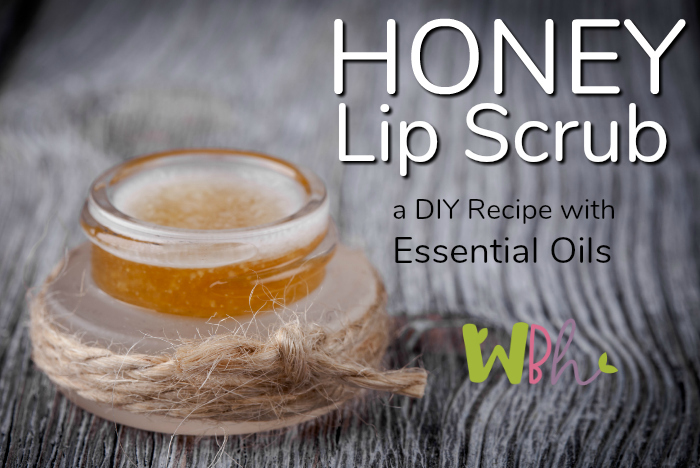 Once or twice a week, rub the scrub onto your lips. Let sit for 1 minute, and then wipe off with a damp washcloth. Apply lip balm after use. Combine salts and soda in a bowl. Stir in desired essential oils until well mixed. Store in an airtight glass jar, in cool, dark place. Use ¼ cup per bath. Mix baking soda and arrowroot powder in a bowl. Add coconut oil. Add 5-10 drops of your chosen essential oil (I use lavender, grapefruit, and rosemary). Stir together and spoon into a small glass jar to store. To use, dip your fingers gently into the mixture and rub on your underarms. Wait two minutes before dressing to avoid getting on your clothes. Coconut oil will melt at temperature above 76* but you can still use it melted. If that bothers you, store it in the fridge during warm weather. Mix and store in a dark amber glass dropper bottle. 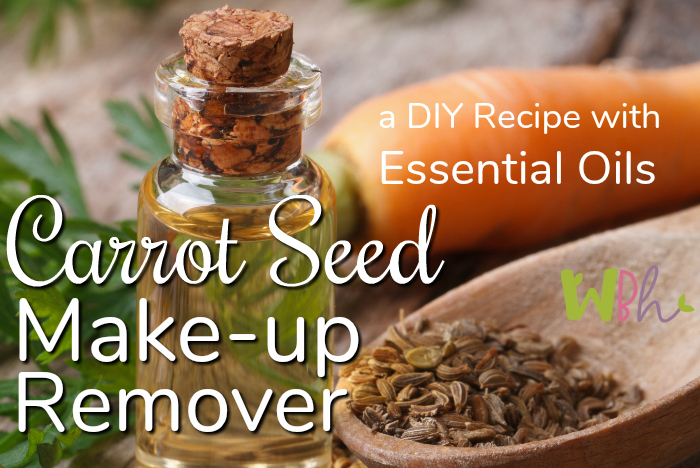 Apply 1/2-1 tsp to face and massage to remove make-up, including mascara. Gently wipe with a warm washcloth. For more tips and recipes be sure to enter your email below to download my Essential Oils Starter Kit! 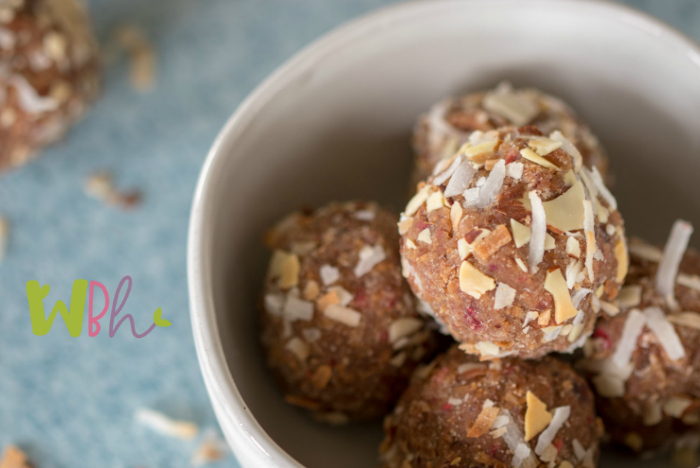 No matter how disciplined you are with an eating plan, we all need a treat now and then. 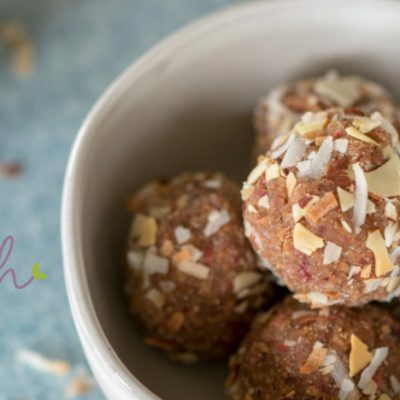 When you can have a treat that meets your need for a little something sweet while also feeding your body healthy protein and fat, well, there’s just nothing better than that. 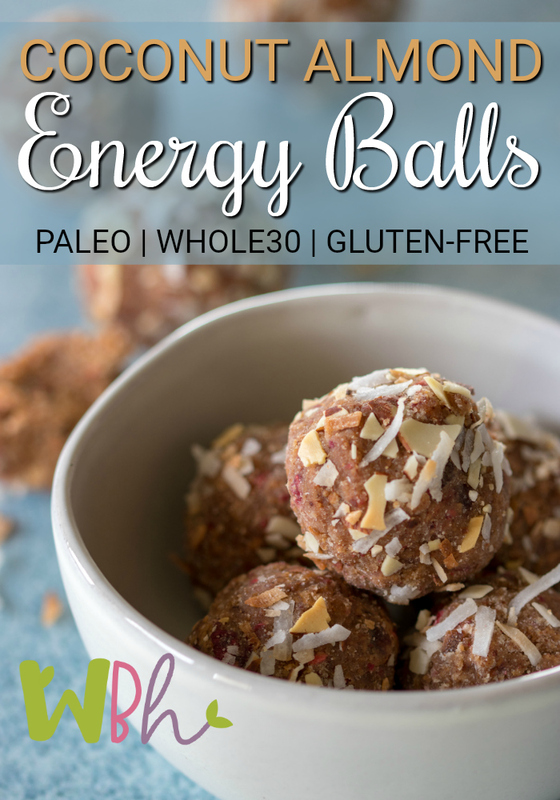 That’s exactly what these energy balls will do for you. 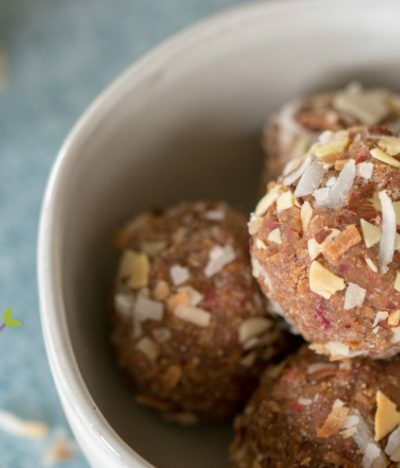 Great to satisfy a sweet craving, for after a work-out, or just when you need an extra burst of energy, you’ll make these delicious energy balls over and over. And if you have kids, you may want to plan a hiding place for them now. 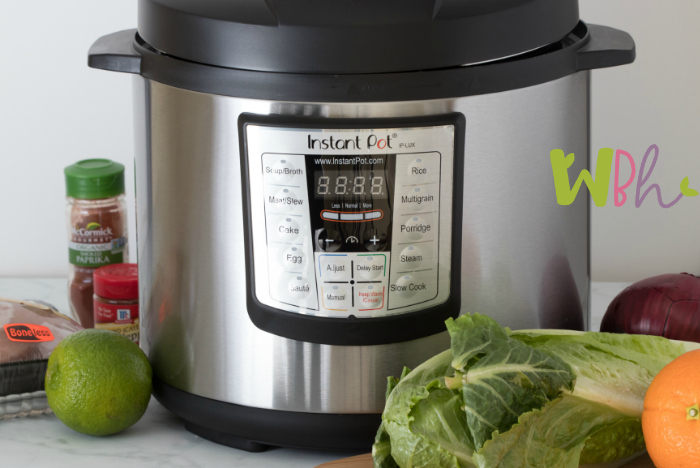 Blend dates and water in a food processor or Vitamix until pureed. Add almond butter, coconut flour, dehydrated strawberries, and date puree to mixing bowl. Mix until an even consistency. Form about a dozen balls and place in freezer for 15-20 minutes. Place a pan with shredded coconut and slivered almonds in the oven for 2-2 1/2 minutes until toasted. Remove energy balls from freezer and roll in the toasted mixture. 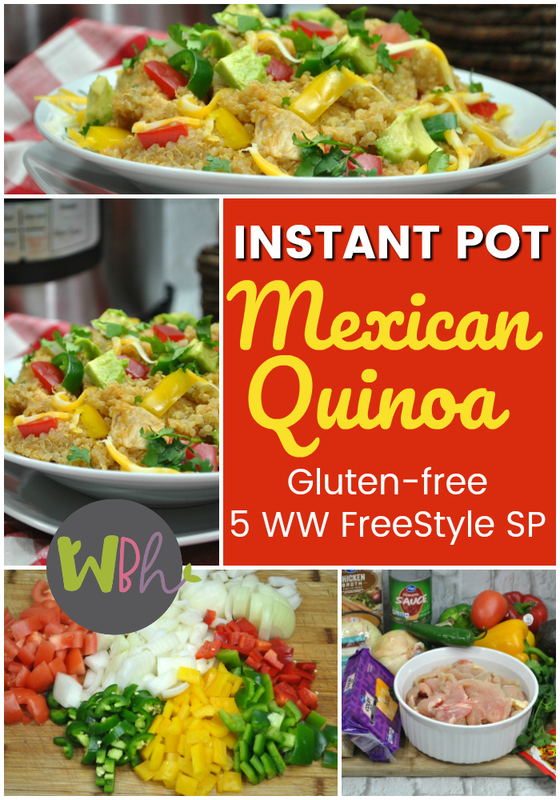 Store in an airtight container at room temperature or in the refrigerator for 1-2 weeks. May also store in an airtight container in the freezer for 1-2 months.